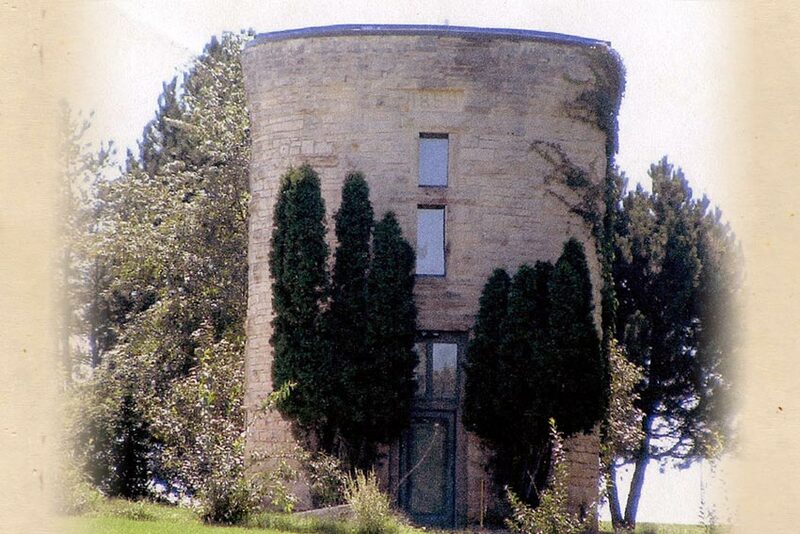 The Stone City water tower was built in 1883 to provide water to the J.A. Green mansion. Later it was part of the Grant Wood Art Colony and the upper level was converted into an apartment where artist Adrian Dornbush lived. At that time it was called “Adrian’s Tomb”. It still stands on hill overlooking Stone City and is privately owned.